Panorama is an object of surreal nature that seeks to undermine the sensitivity of the viewer. 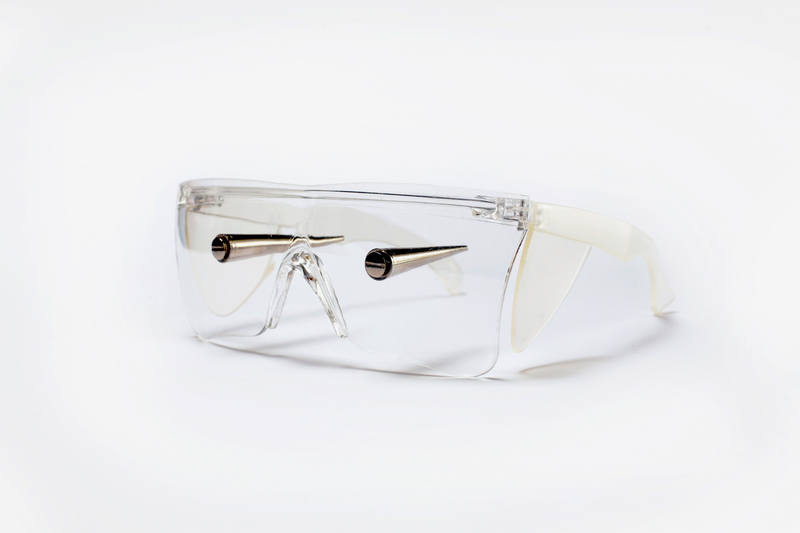 A pair of plastic work glasses, usually worn in order to protect the eyes, become a dangerous weapon capable of causing the blindness of the wearer. On the inside of the lenses, indeed, two sharp punk studs have been applied. Panorama is based on the tension between optical vision and cerebral vision prefiguring a new sort of panorama, not an image external to the viewer but an image that springs directly from his brain.